Arrive at Cape Town International Airport where you will be met by our representative and transferred to your hotel. The balance of the day will be at leisure. Honeymoon Value Add: Complimentary upgrade to a higher room category, subject to availability & complimentary bottle of sparkling wine on arrival. Depart on your private half-day city tour of Cape Town City. Ascend Table Mountain for unforgettable sweeping views (weather permitting). Return to the city through the Malay Quarter, past the Castle, and around Table Bay to Milnerton lighthouse. Here we can see Table Mountain from the same perspective as the early settlers did when they sailed into Table Bay. Travel to the Victoria and Alfred Waterfront. Enjoy breakfast at your hotel. You will be met by your tour guide and depart on a private full day tour of the Cape Peninsula. Travel at a pace that allows you to explore the beauty of the Cape Peninsula. 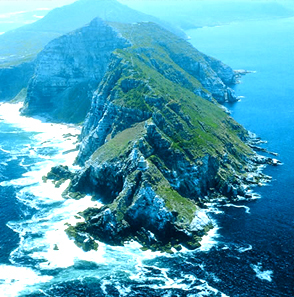 Depart for the Cape of Good Hope Nature Reserve along one of South Africa's most scenic routes, passing Hout Bay. 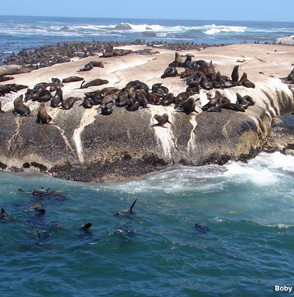 Enjoy a cruise to Seal Island, to view seals and sea birds at Duiker Island (weather permitting). During summer, several thousand Cape Fur Seals - along with the rare Black Cormorant - lollop leisurely among the kelp beds. Continue to the Cape of Good Hope Nature Reserve. Indigenous fauna and flora are conserved in this priceless wilderness area. The scenery en route to Cape Point, at the South Western tip of the reserve, is particularly lovely in spring when wildflowers carpet the landscape. The new lighthouse - the most powerful in the world - beams an electric light of 19 million candle power across the ocean. Ascend to the top by Funicular. Visit the penguin colony at Boulders Beach. Then drive through the historic naval base town of Simon's Town and allow time for a stroll through Kirstenbosch Botanical Gardens. Enjoy breakfast at your hotel. You rental vehicle will be deliver to the hotel (Car rental cost are indicated separately). Get swept away by the overwhelming beauty of rolling vineyards and perfect blue sky. Depart Cape Town in your rental vehicle and start off with a visit to Paarl and the spectacular Paarl Valley. Here enjoy a wine tasting and cellar tour at one of the local estates. Drive north-west to the beautiful village of Franschhoek and then on to Stellenbosch, the second oldest town in South Africa and the historic heart of the country's wine region. The final wine-tasting will take place here at one of the well-known estates. Overnight in a hotel located on a working wine farm. Depart Cape Town and travel Route 62 via Montagu and the ‘Klein Karoo' to Oudtshoorn, ostrich capital of the world. Upon arrival visit the Cango Caves, international renowned as one of the world's great natural wonders sculpted by nature through the ages, their fascinating limestone formation occurs in a variety of ways. Enjoy breakfast at your hotel. Proceed to the Highgate Ostrich Ranch. Come face to face With the biggest bird in the world. Visit the Cheetah and crocodile farm (Cango Wildlife Ranch). Over 300 crocodiles, ranging from 50 cm to four metres in length, inhabit the ranch. The head to over the Outeniqua Mountain Pass and onto the coastal haven of Knysna. Explore the quaint town known for its art & craft shops. "The place of the people, beauty and mystery." This ever-popular charming town of legend, history, arts and crafts catering to visitor's every need or fancy. Embark on a ferry trip on the Knysna Lagoon to view the famous Knysna Heads aboard the pleasure boat, the John Benn. Enjoy breakfast at your hotel. The entire day will be at leisure to enjoy Knysna and surrounding areas. Enjoy breakfast at the hotel. Depart Knysna and continue further down the Garden Route and onto Port Elizabeth. Continue onward to Kariega Game Reserve. Depart on an afternoon game drive in the company of your game ranger. Morning and evening game drives with experienced rangers give guests the opportunity of game viewing from open vehicles. Guests can expect to be enthralled with the sightings of lion, elephant, rhino, buffalo, leopard, hippo, hyena, giraffe, zebra, eland, kudu, wildebeest, waterbuck and a variety of antelope, as well as a myriad of bird species, including nesting fish, martial and crowned eagles. Return to the lodge to enjoy dinner. Depart for an early morning game drive and river cruise. Return to your Lodge for a late, but hearty breakfast. Enjoy a walk, a mountain bike ride, go canoeing, have a swim or just relax! Savor the flavors of a well earned lunch. Early morning wake up call for your game drive. Enjoy lunch at the lodge. Check out and drive back to Port Elizabeth Airport. Drop off the rental car and check in for your flight to Johannesburg (flight cost not included). 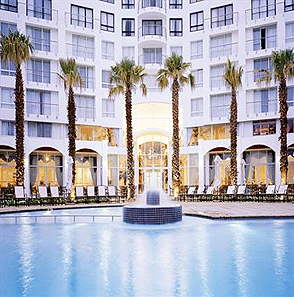 Upon arrival in Johannesburg you will be met and transferred to Sun City. Deep in the heart of the bushveld, at the heart of an ancient volcano, lays sensational Sun City. Africa's Kingdom of Pleasure comprises four marvellous hotels, all offering the fantastic facilities of this legendary resort. Enjoy breakfast at the hotel. The day will be at leisure to enjoy the resort and its facilities. Sun City offers an enormous range of things to do - both indoors and out. Scintillating entertainment; shows in the Sun City theatre, casinos, games and video arcade, a selection of movies in the cinema complex. Wonderful selection of shops and boutiques stocking souvenirs and mementoes of your stay at one of the greatest resorts of them all! Enjoy breakfast at the hotel. Transfer back to Johannesburg in time to connect with your flight home.